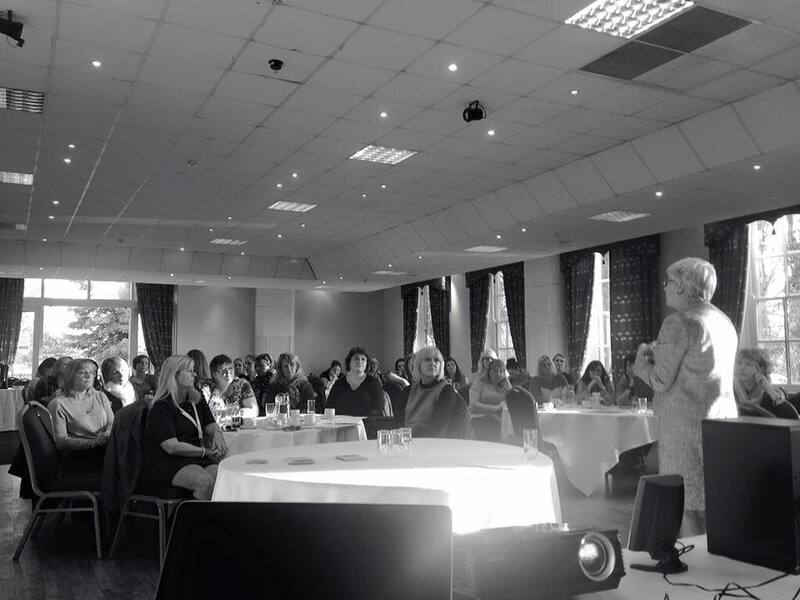 Having attended a recent midwifery led day with North Cumbria University Hospital and witnessed the enthusiasm and energy displayed in the room, it’s fitting that I get a chance to write a guest blog on the Global Village Midwives page. Last week’s experience was an incredible example of how collaboration works while meeting some wonderful people. 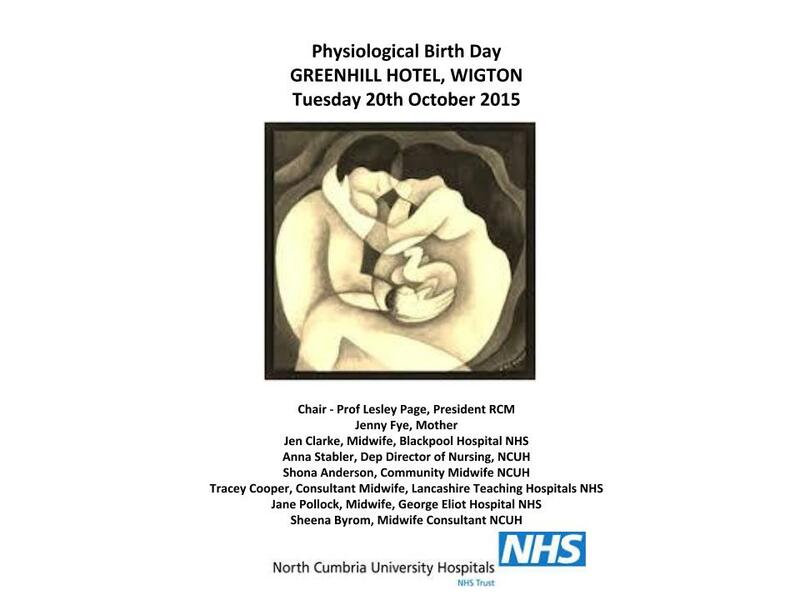 The event was so well organised and hats off to Gail Naylor, Sheena Byrom and the team at North Cumbria University Hospital. They brought together some wonderful speakers. 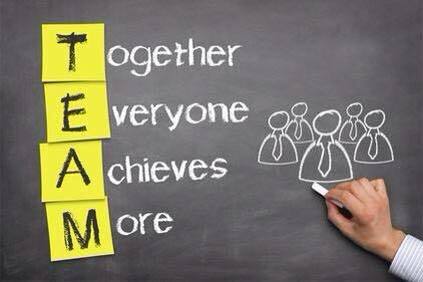 Patients and clinicians working together and sharing experiences to improve patient care. A partnership of trust being established. The event was chaired by Prof Lesley Page from the Royal College of Midwives – she set a very welcoming tone for the day. We had so many engaging sessions and it really did give me and my wife great confidence in the service. We’re expecting our second baby any day now! This was the reason we moved to the UK – to raise a family. And we love Cumbria and the people. Jen Clarke gave an excellent overiew of the importance of skin to skin at brth; and from the World Health Innovation Summit’s pont of view we hope to support the sharing of that knowledge so our communities can benefit. We heard patients/mothers give their own personal accounts of hypnobirthing and it was very interesting and informative. For me it was a real eye opener and I’m sure it was hugely beneficial for all the nursing students in the room, and for my wife, who is now going to try and put it into practice in the next few days! Thankfully Deirdre Munro and Jen Clarke will both share their Midwife experiences at the our inaugural summit on the 10th & 11th March 2016 at the Old Fire Station, Carlisle, Cumbria. Global Village Midwives play such an important role in our lives. Sharing knowledge in this area will be key for the next generation and we hope we can support this knowledge exchange. Hello, my name is Deirdre Munro and I would like to share our Global Village of Midwives story with you. Our story began at the International Confederation of Midwifery (ICM) Prague June 2014. I travelled to Prague with a fellow midwife Naomi O’Donovan, kindly sponsored by the Irish Nurses and Midwives Organisation (INMO). 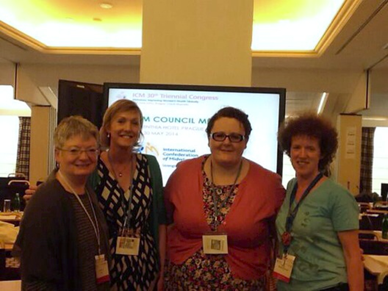 We shadowed our Irish Midwifery delegates Mary Higgins (executive council ICM), Rhona O’Connell and Margaret Carroll. This was like the Olympics of Midwifery! Midwives congregated from all over the world to represent their countries and to celebrate Midwifery. 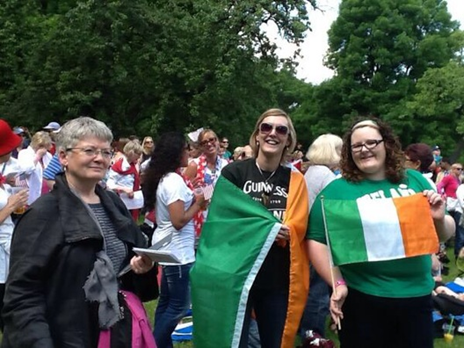 We all sang in the park in Prague to break the Guinness book of records for the largest number of midwives singing in one place! 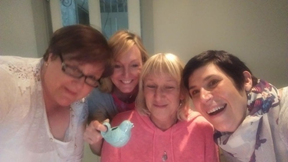 It was here that we randomly met Carmel McCalmont (University Hospital Coventry and Warwickshire Head of Midwifery) and her friend Sheena Byrom OBE among many other soul sisters and brother or three… The fun and positivity party was just beginning. 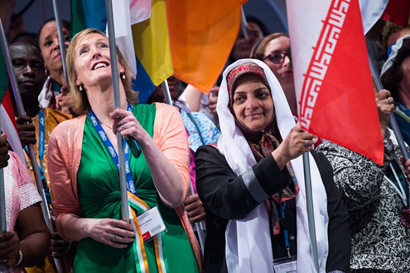 Congress meetings included many discussions including, policy, group work, documentation of achievements, barriers, twinning of countries, membership, future goal setting and global collaboration to agree a global definition of a midwife. Sheena Byrom OBE (Twitter Queen) hosted a twitter masterclass with Carmel McCalmont as a twitterbuddy at an ICM Conference workshop. I mentioned to Sheena ‘I would love to set up a global village of midwives on twitter’, Sheena’s words were (Midwifery motivator) ‘Just go and do it’! So I learnt how to tweet, thanks to Naomi’s patience and was quickly surrounded by encouraging midwifery tweeters known as #twitterbuddies and I have never looked back since. Soon I had many followers, many midwives, student midwives, women, partners, healthcare workers from all grades over the world. Themes include positivity, kindness and change for the better of women, babies and population health. Twitter breaks down barriers. Twitter does not care where you live, what age you are, your station or grade, if you were single, a mother, a partner, a dad, a volunteer, a midwife, a doctor or professor etc… Twitter is accessible. At the touch of a button we continue our connectivity and promote safe ‘protonic’ (positive) birth and maternity care globally. We share fantastic research with each other, often hot off the press such as Lancet Midwifery series. We share meaningful personal stories of birth, loss and resilience. We are change agents, boat rockers, quality improvement activists. We follow interesting movements such as the School for Health and Care Radicals (#SHCR) and improving Maternity Experiences (#MatExp). Positivity is contagious, #Globalvillagemidwives follow positive people like John Walsh (@johnwalsh88) and #TeamShiny (@Team_Shiny). We love innovation and connect daily with Gareth Presch (@GarethPresch) founder of the World Health Innovation Summit, Carlisle (#WHIS16 @HIC16). We are inspired daily by our student midwives and learn from innovative students and promote their blogs and facebook pages like ‘Normal Birth for Lone Nuts’ by the fabulous Natalie Corden (@corden1326) and fellow student midwife Rachel Checkland (#NBFLN). 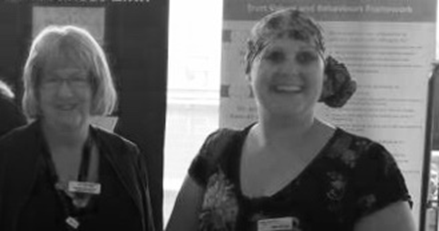 We have met many #twitterbuddies in our #globalvillagemidwives, not all midwives, we met and connect with fabulous inspirational change agents like Dr Kate Granger (#hellomynameis) Gill Phillips (@WhoseShoes), many more obstetricians, anaesthetists and doulas, too many to mention individually. 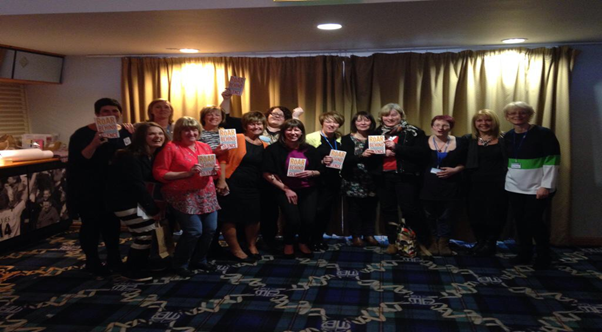 The global village of midwives has been on tour. 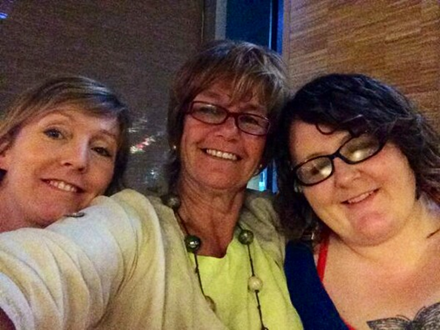 Many virtual #twitterbuddies in our #globalvillagemidwives have met in person and continue to meet in real life. I was invited to celebrate the opening of a birth centre in Coventry by #twitterbuddy Carmel McCalmont where I was blessed to meet Dr Kate Granger in person. Global Village of Midwives celebrated the launch of a book called ‘The Roar Behind the Silence’ by Sheena Byrom and Professor Soo Downe. Launch of ROAR BEHIND THE SILENCE, Bolton, UK. And so the global village of midwives grows stronger every day. We support each other. We pick each other up when we are struggling. We share stories, projects, kindness, evidence and new research. We promote ‘protonic maternity care’. We are all in this together. 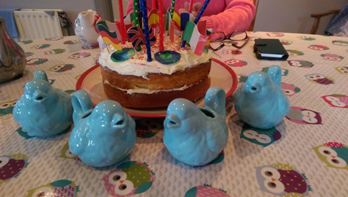 #Globalvillagemidwives celebrated our first birthday in Ireland June 2015, with a cake baked by Sally (our midwifery kindred spirit and baker), including opening of presents (twitter jugs) courtesy of Jeannine Webster (@flowepower66 mental health activist). Jeannine Webster, Deirdre Munro, Amanda Burleigh, Sally Goodwin. #Globalvillagemidwives birthday cake and tweeting jugs! Our #Globalvillagemidwives tweets and retweets from various global conferences and campaigns daily to improve health and wellbeing for mothers, babies and families. Current Campaigns include ICM #midwives4all #SDG’s; Midwife Jenny Clarke campaigns for #skintoskin (@JennytheM); Midwife Amanda Burleigh campaigns for optimal cord clamping #bloodtobaby @optimalclamping). There is no hierarchy here we are all in this #globalvillage together. And so the story of the Global Village of Midwives continues into the future and we look forward to sharing global village ideas at the World Health Innovation Summit next March in beautiful Carlisle.